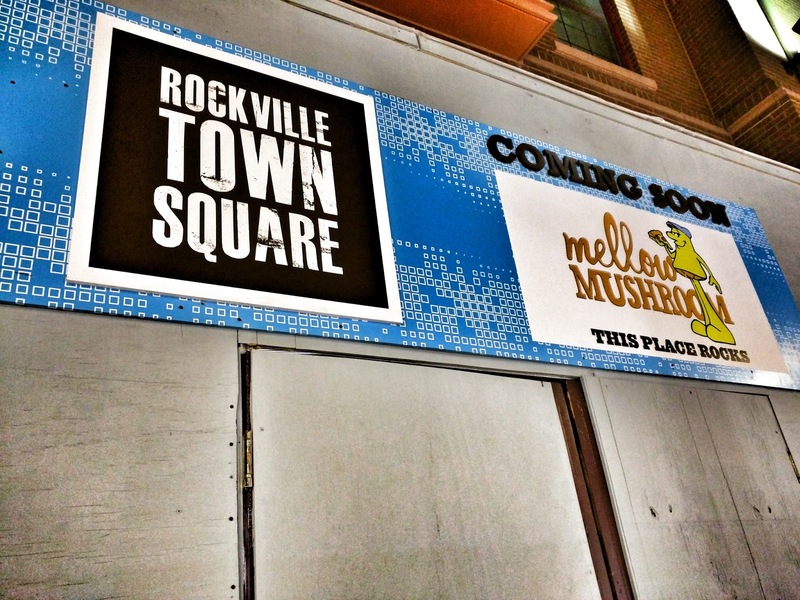 After a long wait, construction is going full steam ahead inside the future Mellow Mushroom at Rockville Town Square. 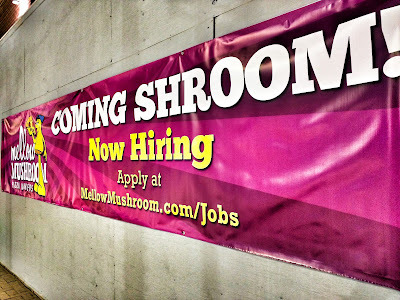 The results of the work are still hidden behind a wall, of course. 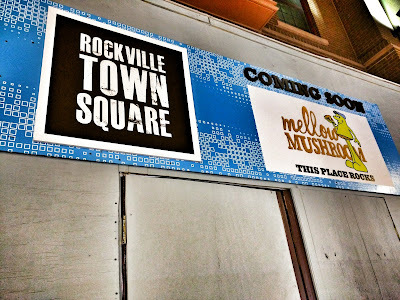 But some new Coming Soon - or as they call it, "Coming Shroom" - signage has been added outside. 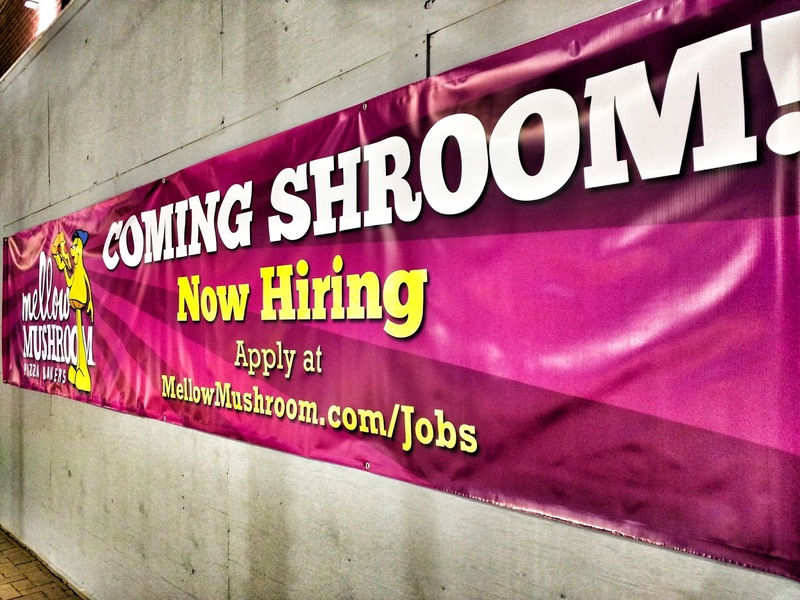 They're also still hiring, for all of you aspiring pizza chefs in Rockville. Meanwhile, over at Finnegan's Wake (remember that?) 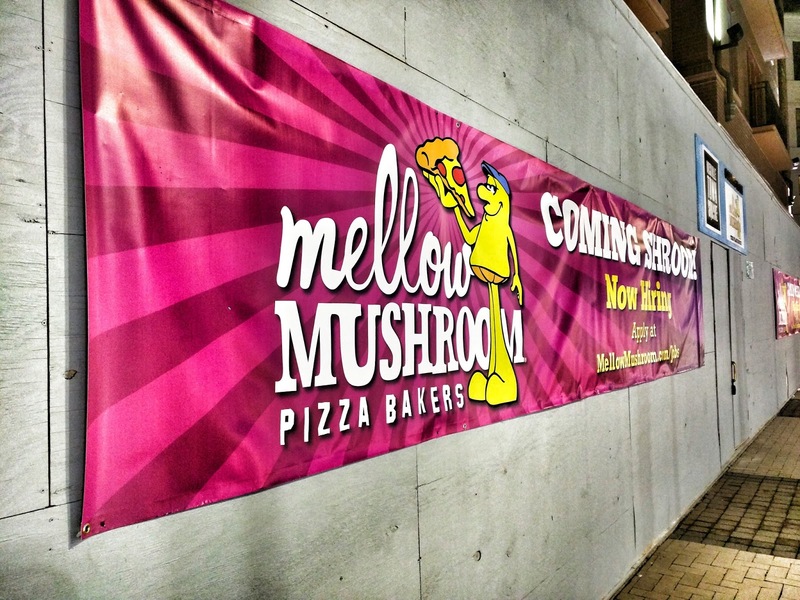 the activity hasn't been quite as frantic, but I can confirm construction is actually underway now. Place your bets as to whether or not they can open before the biggest day on the Irish pub calendar - St. Patrick's Day.